The New York Times Magazine visited Estonia and was amazed by the smoke sauna and its traditions, that are an important part of everyday life in southernmost Estonian community of Võromaa. Estonian sauna is nothing new however, in fact it is ancient to say the least. Centuries of crafting means that everything from building to preparing a sauna has been mastered to the finest detail. Estonian sauna was recently inscribed on UNESCO's Representative List of the Intangible Cultural Heritage of Humanity. The smoke sauna tradition is an important part of everyday family life in the Võro community of Estonia, mainly practiced on the weekend. It's all in the details when it comes to preparing a sauna in southern Estonia, from making bath whisks to building and repairing saunas. While birch is most commonly used to create whisks, anything from oak to linden branches can be used and each is know to have their unique set of healing properties. 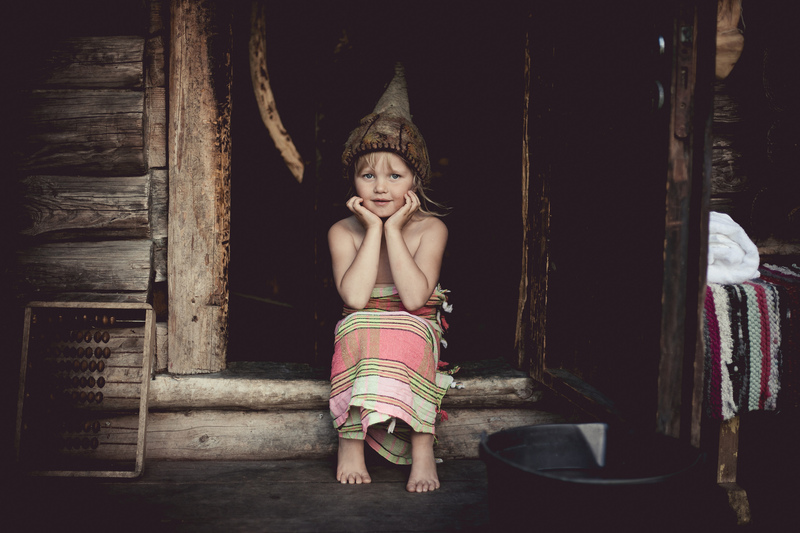 Sauna is ingrained in the culture of many Finno-Ugric people, with earliest written records of the tradition in Estonia reaching back to the 13th century. The main difference between the Finnish and Estonian sauna is that Estonian sauna has no chimney and the smoke from burning wood circulates the room. Once the stones reach a preferred temperature of around 100 degrees (Celsius), the smoke is vented out of the room. It is believed that the lack of a chimney helps to reach and sustain a higher temperature. "In the deciduous forests of southern Estonia, small cabins made of logs layered with moss dot the countryside. These are the smoke saunas — places to bathe bodies and cleanse spirits. The aromas of alder wood and stripped birch, burning below hot stones, waft through the air. Once the stones reach peak heat, the smoke is vented out with the help, it's said, of a mythical "smoke eater."" A traditional sauna session lasts anywhere between 3 and 5 hours. Water thrown on the heated stones produces hot steam that circulates the room. Bathers beat their bodies with whisks to exfoliate and stimulate blood circulation. The smell of burning wood is complemented is often mixed with the aromas of meat being smoked in the sauna, birch and a special sauna honey. After sweating and whisking, people cool themselves outside and rinse their bodies with cool water to then repeat the healing ritual. Many Estonian saunas offer special healing rituals, including whisking, herbal baths and scrubs in addition to the traditional session. Read the full story from The New York Times Magazine Voyages Issue.